It is a fact that The Male Model Music Project supports exercise, fitness and health. No better idea than improving your workout routine with some energy-boosting sounds!! Special thanks to Chris Lawhorn from Run Hundred, website that monthly features a list of Top 10 Workout tracks based on the votes placed by the audience. Chris Lawhorn is a DJ who currently writes about music for Men's Journal and Marie Claire. Visit his website for more workout music and playlists, HERE. You can browse the song selections by genre, tempo, and era-to find the music that best fits your particular workout routine. 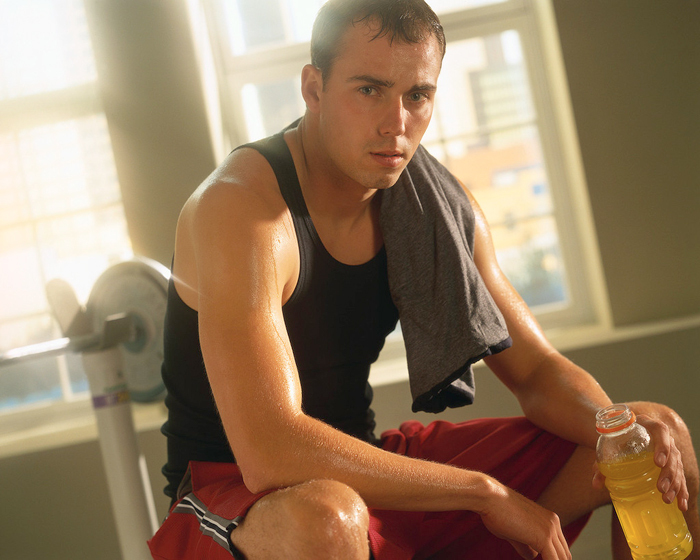 Hydration before/during and after exercise is an important subject when it comes to workout routines. The experts recommend a customized fluid replacement program in order to prevent dehydration. The replacement depends on exercise duration, intensity and the amounts of sweat of the individual. The consumption of sports drinks is also adviced for high intensity routines of 60 minutes or more.